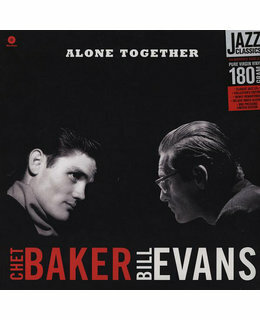 2011 EU repressing on 180g LP-Forever on the cutting edge of jazz, trumpeter Chet Baker and pianist Bill Evans crafted "Alone Together" as a cool, bluesy gem on Dec. 28, 1958. It was released a month later to much acclaim and popular approval. Yet, jazz historians really note this album for being a true precursor to Miles Davis' "Kind of Blue." 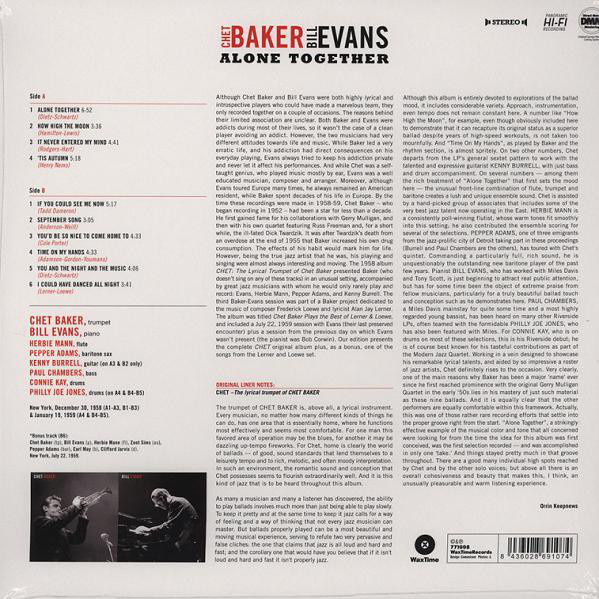 "Alone Together" didn't quite catch fire like "Kind of Blue, " which was released just 7 months later, but it was a great warm up for Evans. Evans actually composed part of and played on Davis' "Kind of Blue." This release contains the complete original 1959 album plus one bonus track. 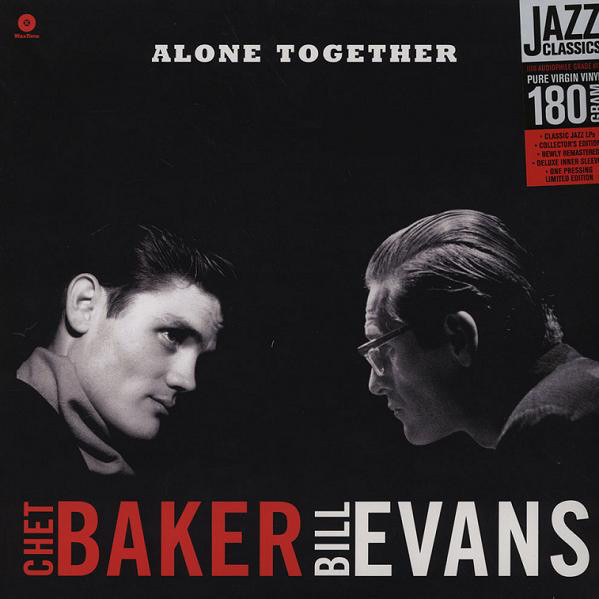 If you love "Kind of Blue, " you will love "Alone Together." Wax Time.